There are some people (guys) out there who say girls can't play guitar. Well, to those knuckleheads we present Ms. Beth Marlis. 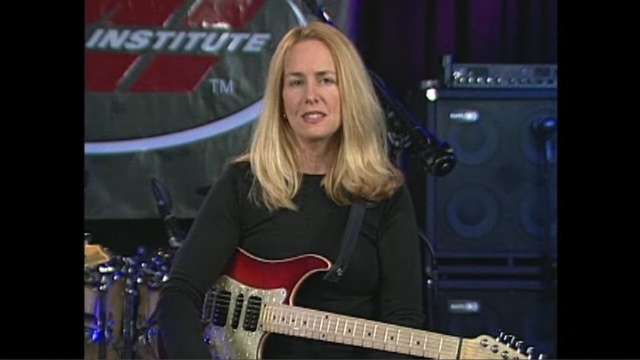 One listen to her tasty fretboard morsels and it's no surprise that she's been an instructor at the venerable GIT since 1987, serving as Department Head since 2000. Marlis holds a Masters Degree in Music from USC, has performed with a diverse range of artists including Louis Bellson and Helen Reddy, and has composed a dozen film scores, all while maintaining a career as a professional "sideman" in Los Angeles.